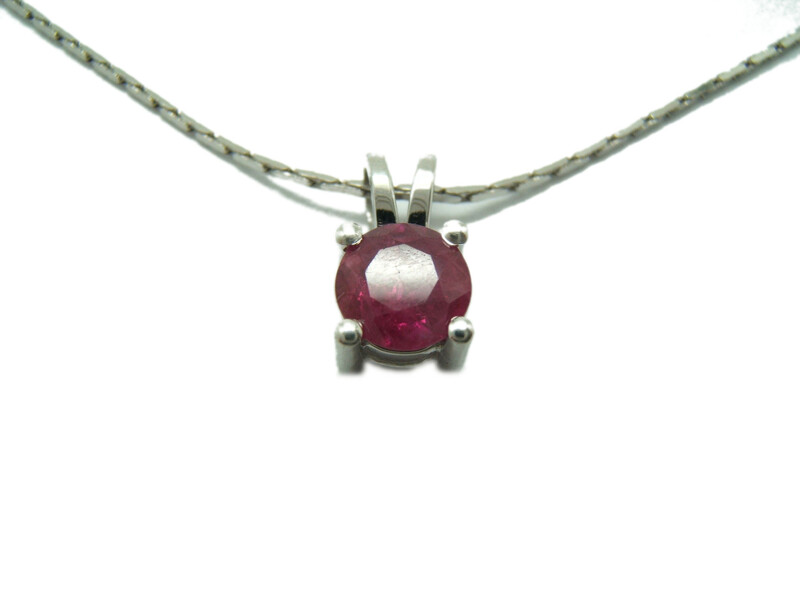 Pendant in white gold paladiado of 750/000 with a Corundum Ruby 5 mm in diameter. The string "NOT" is included in the price. This jewel has been made by "Master Craftsmen". For a long time India was considered the classical source of rubies. In the sanskrit language ruby is called "ratnaraj", which translates as "King of precious stones". In ancient times, one of the chief attractions of ruby has been its protection from misfortune and bad health. Ruby is the birthstone for those who born in July. In the Horoscope, ruby is the stone for Capricorn. Ruby is also used to celebrate the 15th and 40th anniversary of a couple.